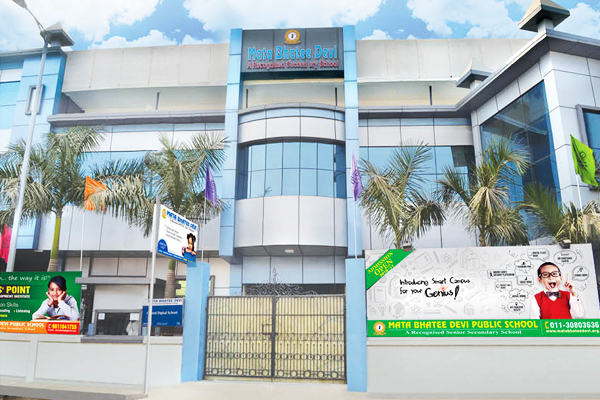 Mata Bhatee Devi Senior Secondary School is a one of a kind of an educational establishment. It is the perfect mix of learning and fun supported by the best infrastructure. Mata Bhatee Devi Senior Secondary School provides an impeccably designed environment for the holistic development of young minds. Our curriculum is designed to develop your ward for the interconnected world today. The learning process is constructed with the aim of encouraging every student to work in various groups and succeed. Our ultimate mission is to aim high and accomplish dreams with good values and great academics. We believe in a holistic approach - the education of the whole child, with a fine balance of emphasis on academic, social, physical, aesthetic, and spiritual growth. After forming a strong base up to Grade XII, the school caters to CBSE board ensures a seamless transition of your ward into an intellectual as well as humane person. The infrastructure has been planned and designed to suit every requirement of the students. The facilities available are equipped with all necessities to ensure comfortable, safe and secure student life inside the campus. The overall development of your precious ones is our main aim through this caring school, combining the best traditional and modern teaching methods within a friendly and supportive environment. Regularly updating the pedagogical skills of the teachers and administrators by conducting in service training programs, workshops etc.